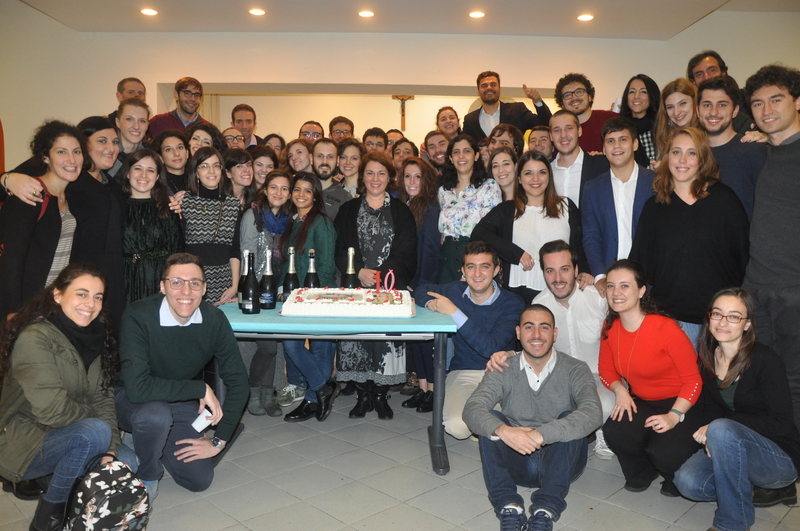 On Saturday, 24 November 2018, Giurcap’s first ten years were celebrated. 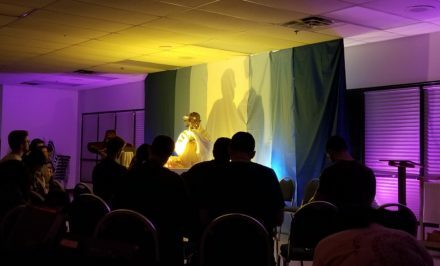 During these years, there were many signs of God’s benevolence toward this youth group. A vocation to the priesthood, another vocation in the process of discernment for the cloistered life for women, at least five married couples born within the group, and a small number of children born to these couples (the Giurcap mascots). They are the most evident and beautiful fruit of all that has flourished during these years. Coincidentally Bishop Andrea Lonard, Pastoral Director of the Diocese of Rome, precisely set out from these elements, to speak about Giurcap’s special grace during a Eucharist he celebrated at St. Paul Outside the Walls. Fr. 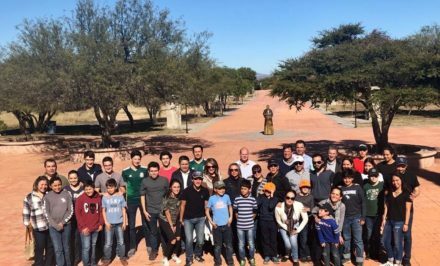 Facundo Bernabei, from the Institute of the Schoenstatt Fathers and the current spiritual guide of Giurcap, Fr. Beltrán Gómez, who is also a Schoenstatt Father and Fr. Giuseppe Caciotti, a young Augustinian priest (whose priestly vocation matured in Giurcap), con-celebrated with the bishop. The Basilica of St. Paul Outside the Walls has always been at the center of Giurcap’s spiritual life, since it is a few meters from the Law Faculty. 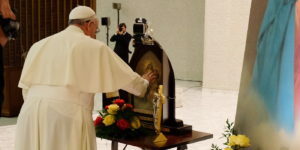 During the Mass, Bishop Lonardo expressed gratitude to Schoenstatt: Argentinian Fr. Ludovico Tedeschi, Paraguayan Fr. Alfredo Pereira, and the aforementioned Fr. Facundo Bernabei who is also an Argentinian and has followed the group over these ten years. 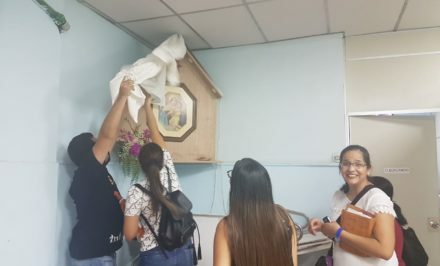 Then he recalled Guircap’s participation in diocesan initiatives, events organized by its members, the many young people who have approached the Faith. Concluding he indicated what he acknowledged as the “secret of the group’s success” of embodying belonging to the chaplaincy, not as a sign of otherness or opposition to non-believing young people who attend the university, but rather as a service and a mission to fulfill on its behalf and to be witnesses to the joy of the Gospel among themselves. 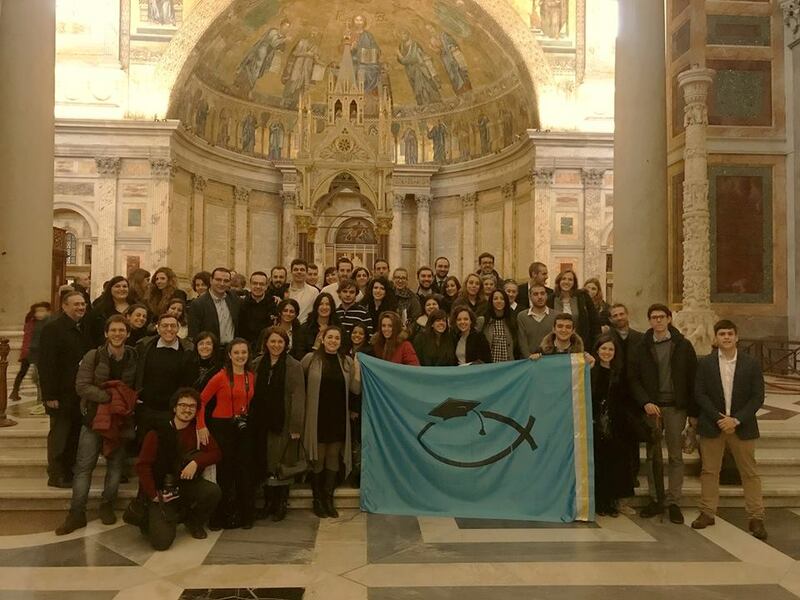 Before leaving the Basilica, there was another very meaningful moment: the prayer of confidence to St. Paul, patron of Giurcap, which was prayed over the crypt that holds his remains, the presentation of Giurcap’s official flag accompanied it. This banner that the members of the chaplaincy had on loan, since they imposed the task on themselves to conquer it through spiritual sacrifices, prayer, and a commitment to incorporate other members. The leaders presented a series of video messages about the following subjects: recalling it’s origins, loyalty to the Giurcap project, Mary’s constant presence in the different vicissitudes and activities, as well as the group’s own traits and the future perspectives. A Schoenstatt Father, Mrs. Pilar Jensen, who previously joined Fr. Alfredo Pereira, and who now accompanies the young people along with Fr. Facundo Bernabei alternated in accompanying the group. The lunch hour was a time for informal sharing and conversation, exchanging and memories, especially for the members that because of age or transfers, could no longer participate 100% in the group activities, but that did not want to miss the anniversary celebration. Grateful for the past and optimistic about the future. 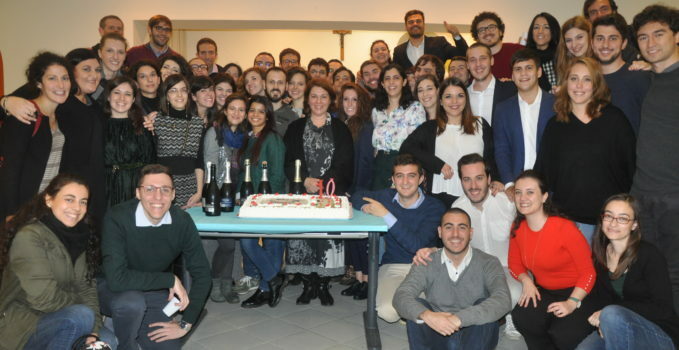 During the afternoon, Giurcap’s entire history was recalled from its beginning to the present through several testimonies: the pilgrimage to the tomb of the Apostle to the Gentiles during the Pauline Year that provided an opportunity to create the group, the choices in shaping and structuring this community, the first conference organized about current topics within the Law Faculty, the catechesis apostolate for the preparation for adult confirmation, the renewal of the association throughout the years, and it’s most significant moments – such as Rossella Minici’s speech presented in 2012— she was the secretary at the time before Pope Benedict XVI in St. Peter’s Basilica on behalf of all the Roman university students—to the concrete gaze of current and future events. 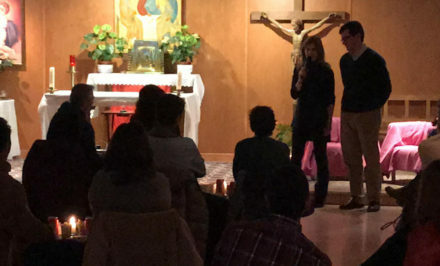 A gaze that, in the words of the current secretary, Enrica Giunta, is at the same time grateful for the past, and optimistic about the future, aware that Giurcap has always worked hard, and at the same time, it has always allowed space for God’s work and the unexpected. The first part of the celebrations ended with the presentation of the 10th Anniversary double poster, a cake, a toast among the attendees, a closing prayer, and a group photo. The following day, the celebration culminated with the participation of the members of the Angelus group in St. Peter’s Square, they prayed with the Holy Father in a torrential downpour, and they lastly rejoiced at the Pope’s express greeting to the Giurcap young people.